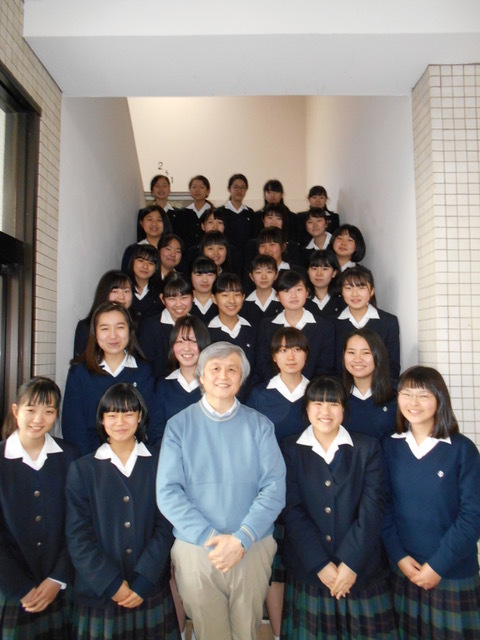 We are pleased to announce an opportunity for the community to enjoy an incredible music performance by the Soshin Girls School student band from Yokohama, Japan. 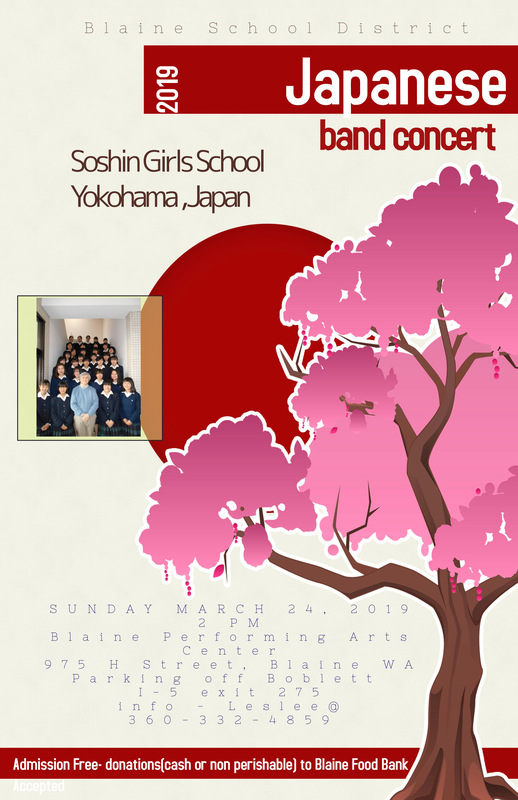 Since 2003, the Blaine High School wind ensemble has visited Japan five times, and this will be the Soshin Girls School’s second visit to Blaine. This group of talented young musicians will be hosted by local families in the last week of March as part of a cultural exchange between our communities. The individuals who have spearheaded this ongoing international relationship will be retiring soon, so this visit is likely to be the last. Don’t miss this opportunity to experience an outstanding musical event! The free concert begins at 2:00pm in the Blaine Performing Arts Center on Sunday, March 24. Blaine Food Bank donations will be accepted. Click here to view the promotional flier.